This web site and the related web sites contained herein (collectively, the 'Site') make available information on hotels, resorts, and other transient stay facilities (each a 'Property') owned, managed or franchised by Citrus Hotel’s India. and/or its subsidiaries and affiliates (collectively, 'Citrus Hotel’s'), and other travel-related or consumer goods and services. This Site, and the services of each of its modules, are offered exclusively by Citrus Hotel’s and/or its various third party providers and distributors. The offer of such goods and/or services is conditioned on the user's ('User('s)' or 'You(r)') acceptance of the terms and conditions and notices set forth herein and on other pages of the Site (collectively the 'Terms'). This Site is to be used by you for Your personal use only. Commercial uses of this Site are strictly prohibited unless prior written consent from Citrus Hotel’s has been granted. You agree that You will not use this Site for chain letters, junkmail, 'spamming', solicitations (commercial or non-commercial) or bulk communications of any kind including but not limited to distribution lists to any person who has not given specific permission to be included in such a list. In addition, You agree not to create a hypertext link from any web site controlled by You or otherwise, to this Site without the express written permission of Citrus Hotel’s . You agree not to pretend to be any other person or a representative of any entity, whether actual or fictitious, including an employee or agent of Citrus Hotel’s or any third party that provides services related to this Site. 'Chat Area' means any chat area, forum, message board, or similar service offered in conjunction with this Site. 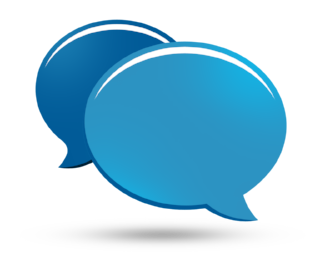 If You participate in a Chat Area, You agree that, in addition to complying with the Terms, You will not: defame, abuse, harass, threaten, or make any discriminatory statements about others; advocate illegal activity; use indecent, obscene or discourteous language or images; or provide content that is not related to the designated topic or theme of the Chat Area. You shall remain solely responsible and liable for your use of the Chat Area. Citrus Hotel’s reserves the right to remove or edit content from any Forum at any time and for any reason, however, Citrus Hotel’s has no duty to do so, and is not responsible for the content or accuracy of any information in a Chat Area. You agree that you will not use any robot, spider, other automatic device or manual process to monitor or copy the Site or any contents or information contained therein, unless you obtain Citrus Hotel's prior express written consent. You agree that you will not through any means interfere or attempt to interfere with the proper functioning of the Site. You agree that you will not provide to Citrus Hotel’s and/or to this Site: (i) any viruses, worms, time bombs, and/or other computer programming routines that are intended to damage, detrimentally interfere with, intercept or expropriate any system, data or information; and (ii) any content that may create liability for Citrus Hotel’s or cause Citrus Hotel’s to lose (in whole or in part) the services of our suppliers. This Site contains and references trademarks, patents, trade secrets, technologies, products, processes or other proprietary rights of Citrus Hotel’s and/or other parties. No license or right to or in any such trademarks, patents, trade secrets, technologies, products, processes and other proprietary rights of Citrus Hotel’s and/or other parties is granted to or conferred upon You. Reproduction or storage of materials obtained from this Site is subject to the Indian Copyright Act. No material from the Site may be reproduced, distributed, posted, displayed, uploaded or transmitted. The use of any material from the Site on any other internet, intranet, web or other site or computer environment is prohibited. You may not utilize framing techniques to frame any Citrus Hotel’s trademarks, logos, or other proprietary information (including images and text). You may not use any meta tags or any other 'hidden text' utilizing our name, trademarks or other proprietary information. The trademarks, logos and service marks and trade dress displayed on this Site (collectively, the 'Trademarks') are registered and common law Trademarks of Citrus Hotel’s, its affiliates and various third parties. Any reproduction or use of any of the contents of this Site without the express written consent of Citrus Hotel’s is prohibited. Nothing contained on this Site should be construed as granting, by implication, estoppel, or otherwise, any license or right to use any of the Trademarks without the written permission of Citrus Hotel’s or such other party that may own the Trademarks. This Site, including each of its modules, is the copyrighted property of Citrus Hotel’s and/or its various third party providers and distributors. This Site and the content provided on this Site may not be copied, reproduced, republished, uploaded, posted, modified, transmitted or distributed without the written permission of Citrus Hotel’s , except that You may download, display and print one copy of the materials presented on this Site on a single computer for Your personal, non-commercial use only. Unauthorized use of this Site and/or the materials contained on this Site may violate applicable copyright, trademark or other intellectual property laws or other laws. You must retain all copyright and trademark notices, including any other proprietary notices, contained in the materials. The use of such materials on any other web site or in any environment of networked computers is strictly prohibited. Any software that is made available to download from this Site ('Software') is the copyrighted work of Citrus Hotel’s and/or its various third party licensors. Your use of the Software is governed by the terms of the end user license agreement, if any, which accompanies or is included with the Software ('License Agreement'). You may not install or use any Software that is accompanied by or includes a License Agreement unless You first agree to the License Agreement terms. Please note that copyright laws and international treaty provisions protect all Software. Any reproduction or redistribution of the Software is expressly prohibited by law, and may result in severe civil and criminal penalties. Violators will be prosecuted. Without limiting the foregoing, copying or reproduction of the Software for further reproduction or redistribution is expressly prohibited. Any warranty applicable to the Software will be specified in the terms of the License Agreement. You acknowledge that the Software and any accompanying documentation and/or technical information are subject to applicable export control laws and regulations of the India. You agree not to export or re-export the Software, directly or indirectly, to any countries that are subject to India export restrictions. By submitting any ideas, comments, suggestions or other information: to a Chat Room; or to Citrus Hotel’s related to improvements to the Site and/or services related to the Site; (collectively, the 'Feedback'), You agree that such Feedback shall be deemed, and shall remain, Citrus Hotel’s property. None of the Feedback shall be subject to any obligation of confidentiality on Citrus's part and Citrus shall not be liable for any use or disclosure of any Feedback. Citrus Hotel’s shall own all rights related to the Feedback (including without limitation intellectual property rights and moral rights) and shall be entitled to use of the Feedback without restriction for any purpose whatsoever, commercial or otherwise, without compensation to You. You also warrant that the holder of any rights, including moral rights in such content, has completely and effectively waived all such rights and validly and irrevocably granted to You the right to provide the proprietary rights to Citrus Hotel’s stated above. You agree that Citrus Hotel’s has no obligation to, but may monitor and review information You transmit over the Site. You agree that Citrus Hotel’s may censor, edit, remove or prohibit the transmission or receipt of any information that Citrus Hotel’s deems inappropriate or in violation of these Terms, and use any such information as necessary to provide the Site and/or to protect the rights or properties of Citrus Hotel’s. You agree that Citrus Hotel’s may also monitor and review stored information without restriction. You hereby acknowledge and consent to such monitoring and reviewing. You acknowledge that Citrus Hotel’s will know passwords that You use to access the Site. You acknowledge and agree that You are solely responsible for maintaining the confidentiality of Your information and passwords, and accept responsibility for all activities that occur under Your account or password. Citrus Hotel’s takes no responsibility and assumes no liability for any content posted or submitted by You or any users of Your account. This Site includes links to other web sites. Citrus Hotel’s provides such links solely as a convenience to You and for informational purposes only. Citrus Hotel’s has not reviewed all of the information on these other web sites. The inclusion of these links in no way indicates Citrus Hotel’s endorsement, support or approval of the content, advertising, products, services, policies or other materials on or available from such web sites. Neither Citrus Hotel’s, nor any other providers of products or services related to this Site, shall be responsible for the content of any other web sites and make no representation or warranty regarding any other web sites or the contents or materials on such web sites. If You decide to access other web sites, You do so at Your own risk. Other web sites may include links to the Site. The inclusion of such links does not indicate the other web site’s endorsement, support or approval of the content, advertising, products, services, policies or other materials on or available from the Site. Product descriptions posted on our product pages are the representations of our suppliers. The Site may contain technical inaccuracies or typographical errors or omissions. Citrus Hotel’s is not responsible for typographical, pricing, product information, advertising or shipping errors. Advertised prices and available quantities are subject to change without notice. Citrus Hotel’s reserves the right to make changes, corrections and/or improvements to the Site, and to the products and programs described in such information, at any time without notice. Citrus Hotel’s and any other providers of products or services related to this Site are not responsible for communication malfunctions, failures, or difficulties, or lost, stolen, or misdirected, transmissions, messages or entries, or the security of any such communications. Further, Citrus Hotel’s and any other providers of products or services related to this Site are not responsible for incorrect or inaccurate entry information, whether caused by User(s) or by any of the equipment or programming associated with the Site, or by any technical or human error that may occur in the processing of any information related to the Site. Citrus Hotel’s and any other providers of products or services related to this Site may cancel or modify reservations where it appears that a User has engaged in fraudulent or inappropriate activity or under other circumstances where it appears that the reservations contain or resulted from a mistake or error. You agree that neither Citrus Hotel’s nor any other providers of products or services related to this Site are responsible for any damages that may arise as a result of any travel or hotel arrangements or other orders You request or make on this Site which are not processed or accepted for any reason. You agree that neither Citrus hotel’s nor any other providers of products or services related to this site are responsible or liable in any way for injury, loss or damage to your computer, or interception or use of credit card information or other personally identifiable information, related to or resulting from use of the site or any sites linked or associated with this site. Ctrus hotel’s makes no warranty or representation regarding of confidentiality of any communication or information transmitted on this site or any web site linked to this site. You agree that neither Citrus hotel’s , nor any other providers of products or services related to this site, are responsible for the confidentiality of any information, (including without limitation credit card information, personally identifiable information, email address, phone number, etc. ), and neither citrus hotel’s , nor any other providers of products or services related to this site, are responsible for any damages that may arise from disclosure of such information. Travel to certain destinations may involve greater risk than others. Citrus Hotel’s urges passengers to review travel prohibitions, warnings, announcements and advisories issued by the India Government prior to booking travel to destinations. Citrus hotel’s does not represent or warrant that travel to, or accommodations in, destinations where services are offered via this site is advisable or without risk, and is not liable for damages or losses that may result from travel to, or staying in, such destinations. Use of Third Party Suppliers. In order to offer the services related to this Site, and fulfill reservations or orders users place on this Site, Citrus Hotel’s may use third party suppliers. You acknowledge and agree that, the carriers, hotels and other suppliers providing travel or other services for Citrus Hotel’s may be independent contractors, and not agents or employees of Citrus Hotel’s . Your credit card statements for products or services purchased on this Site may refer to such third-party suppliers or their respective fulfilment vendors, rather than to Citrus Hotel’s or the Property at which you may have booked a reservation. You agree to the terms and conditions of purchase imposed by Citrus Hotel’s , each Property, and other suppliers of other travel services (air, land, or sea), which may include, but are not limited to, restrictions against back to back ticketing, hidden city ticketing and round trip for one-way ticketing. You also agree to pay all amounts, duties, taxes, and related charges arising out of Your use of this Site and of the services provided herein when due, including additional taxes and fees that may not be included in the quoted fare. You agree to comply with all rules regarding the availability of fares, products or services, including penalty fees arising from the failure of the User to comply with said rules. You understand that any violation of any supplier's conditions of purchase may result: in cancellation of Your reservation(s) or purchase(s); in Your being denied access to any flight(s), hotel(s), automobile(s), activities, or service; in Your forfeiting any monies paid for such reservation(s) or purchase(s); and in Citrus Hotel’s debiting Your account for any costs Citrus Hotel’s incurs as a result of such violation. You also agree to allow Citrus Hotel’s and each Property, and other suppliers of other travel services to charge the credit card on file for the payment of penalties arising from the Your failure to comply with such rules. Such payment will be collected without additional notice. You agree that You are completely responsible for all charges, fees, duties, taxes, and assessments arising out of Your use of this Site. You agree that Citrus hotel’s is not liable for the acts, errors, omissions, representations, warranties, breaches or negligence of any such third party suppliers or for any personal injuries, death, property damage, or other damages or expenses resulting from the use of such suppliers. Citrus hotel’s has no liability and will not make refunds for any delay, cancellation, overbooking or other causes beyond Citrus hotel's direct control, and Citrus hotel’s has no responsibility for any additional expenses resulting therefrom. If you plan to travel with your pet, we recommend that You confirm directly with the Property that they do, indeed, accept pets. Citrus Hotel’s accepts NO RESPONSIBILITY for an individual Property's pet policy. Reservations made by one or more individuals or by an agency on the Site, on behalf of one or more proposed guests, and involving more than nine (4) rooms at the same Property for the same period of stay, must be directly through the Property. If more than nine (4) rooms at the same Property for the same period of stay are booked through any other method, Citrus Hotel’s reserves the right to cancel or impose additional requirements on such reservations. Requests for specific features such as bedding type or non-smoking rooms are simply that, and while most Properties will strive to honour your requests, neither Citrus Hotel’s nor the Property guarantee that Your request will be honoured. Miscellaneous Terms. Denial of Access. In its sole discretion, in addition to any other rights or remedies available to Citrus Hotel’s , and without any liability whatsoever to User, Citrus Hotel’s , at any time and without notice, may terminate or restrict User's access to this Site and any related services. If Citrus Hotel’s takes any action to enforce this Agreement, Citrus Hotel’s will be entitled to recover from You, and You agree to pay, all reasonable and necessary attorney's fees and any cost of litigation, in addition to any other relief, at law or in equity, to which Citrus may be entitled. Citrus Hotel’s may at any time modify these Terms, and Your continued use of this Site will be conditioned upon the terms and conditions in force at the time of Your use. Accordingly, You agree to review these Terms periodically, and Your continued access, use and/or posting on this Site shall be deemed Your acceptance of the changed Terms. You agree that you use the site at your own risk. the site, and any related information, contents and/or materials are provided on an 'as is' basis without warranties of any kind. Citrus hotel’s hereby disclaims all warranties, either express or implied, including but not limited to: warranties of title or implied warranties of merchantability; fitness for a particular purpose; non-infringement; and those arising by statute or otherwise in law or from a course of dealing or usage of trade; other than those warranties which are imposed by and incapable of exclusion, restriction, or modification under the laws applicable to this agreement. No oral advice or written correspondence or information provided by Citrus hotel’s will create a warranty of any kind, and you should not rely on any such information or advice. In no event shall citrus hotel’s, its agents, representatives or licensors be liable to you or any other party for any loss or injury or any damages, either direct, indirect, punitive, special, incidental, consequential or otherwise (including, but not limited to lost profits or lost savings) resulting from or in any way connected to:(1) Your use of this site; (b) any failure or delay (including, but not limited to the use of or inability to use any component of this site for reservations or ticketing); or (c) The performance or non performance by starwood or any third party providers of products or services related to this site; even if such party has been advised of the possibility of damages to such parties. This limitation of liability shall apply regardless of whether the claim asserted is based on contract, negligence, or any other theory of recovery. Some jurisdictions do not allow the exclusion of consequential or incidental damages, so some of the foregoing exclusions may not apply to you. You hereby waive any and all claims against Citrus hotel’s, its agents, representatives and licensors arising out of, or in any way connected to your use of the site and/or any related products or services. In the event Citrus hotel’s is held liable for any damages related to this site, your sole and exclusive remedy will be limited to reimbursement of the charges for services or products paid by you that were not provided to you. You agree to indemnify and hold Citrus Hotel’s and its subsidiaries, affiliates, officers, directors, agents and employees harmless from any claim or demand, including reasonable attorney's fees, made by any third party due to or arising out of Your breach of this agreement or the documents it incorporates by reference, or Your violation of any law or the rights of a third party. Citrus Hotel’s failure to act with respect to a breach by You or others does not waive its right to act with respect to subsequent or similar breaches. Any disputes arising out of or related to the Site shall be governed by and construed and enforced in accordance with, the laws of the State of Maharashtra-Mumbai, India applicable to contracts entered into and to be performed entirely within the State of Maharashtra-Mumbai, India. Use of this Site is unauthorized in any jurisdiction that does not give effect to all provisions of these Terms, including, without limitation this paragraph. All disputes which cannot be resolved between the parties, and causes of action arising out of or connected with the Site, shall be resolved individually, without resort to any form of class action. These Terms, together with those incorporated herein or referred to herein (including, without limitation, the Citrus Hotel’s Online Privacy Statement) constitute the entire agreement between us relating to the subject matter hereof, and supersedes any prior understandings or agreements (whether oral or written) regarding the subject matter, and may not be amended or modified except in writing or by making such amendments or modifications available on this Site.